Give your career a boost with a certificate from HEC Montréal. 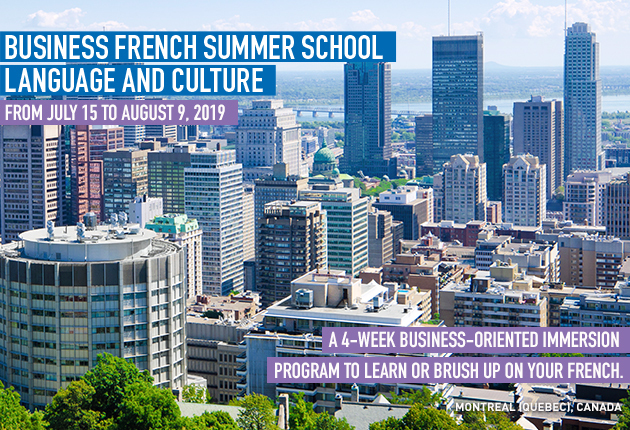 HEC Montréal offers a wide range of management certificates offered entirely in French. Though proof of French proficiency is generally not a requirement for admission, a high/intermediate French level is recommended (refer to each certificate for language requirements). HEC Montréal offers certificates in all fields of management. Admission requirements include recognized college or university studies and/or a certain number of years of work experience in Canada or abroad. You can adapt your class schedule to your availability (daytime, evening or weekend classes). What’s more, many courses are offered in “hybrid” form, alternating classroom and online instruction. Some courses are entirely online. HEC Montréal takes a practical approach to teaching, so that you can apply your new knowledge in your work. Some of our programs give you access to recognized professional accreditation. Studying at HEC Montréal also gives you lifetime access to our Career Management Service and the opportunity to network with tens of thousands of alumni during and after your studies.